Unlike most people on the inter-webs this week, I’ve so far avoided commenting on you-know-who. What’s the point? 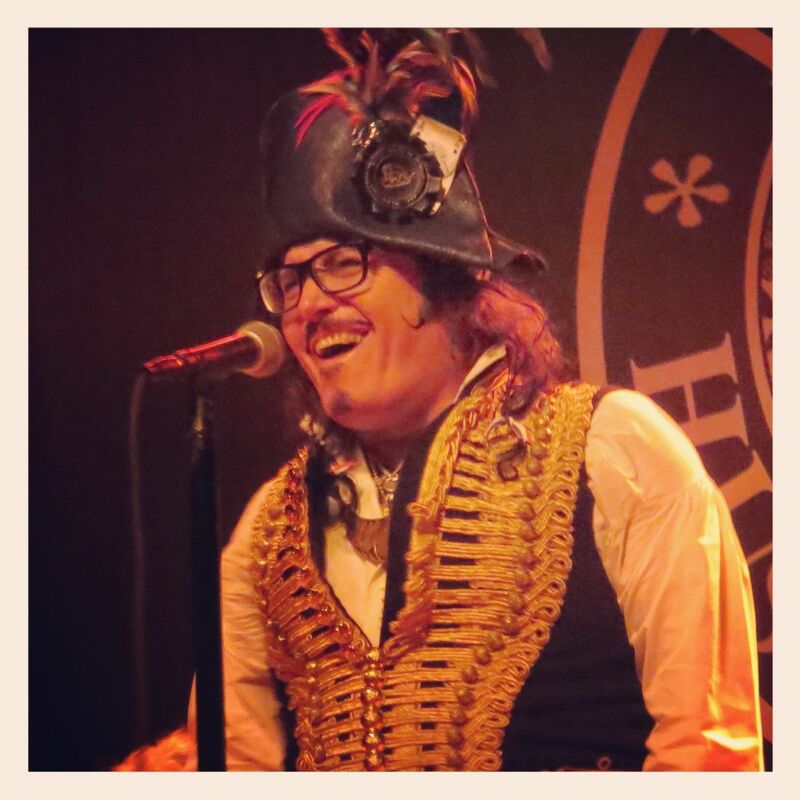 I can’t pretend to feel indignant, or shocked, or offended by the performance. I go to movies. I watch TV. I read books. I have the internet piped into my home. I know what’s out there and what’s in my heart. Who am I to be indignant? Also, I can’t add anything to the helpful things that have been said, nor can I take away the harmful things that have been said. I liked this post from Christianity Today‘s “Her•meneutics” blog (as I usually like posts from that blog). This Vanity Fair piece is good, too. And this from the Onion A.V. Club. Everything about the story depresses me when I think about it too much. Hard to believe there was a time 50 years ago when Bob Dylan, out of principle, walked away from performing on the top-rated Ed Sullivan Show because the network censors wouldn’t let him perform the satirical “Talkin’ John Birch Paranoid Blues.” Like Miley Cyrus, he was controversial—but the good kind of controversial, related to actual ideas. Those were the days! Instead we’re stuck with today’s pop culture. We’ve clearly lost something. 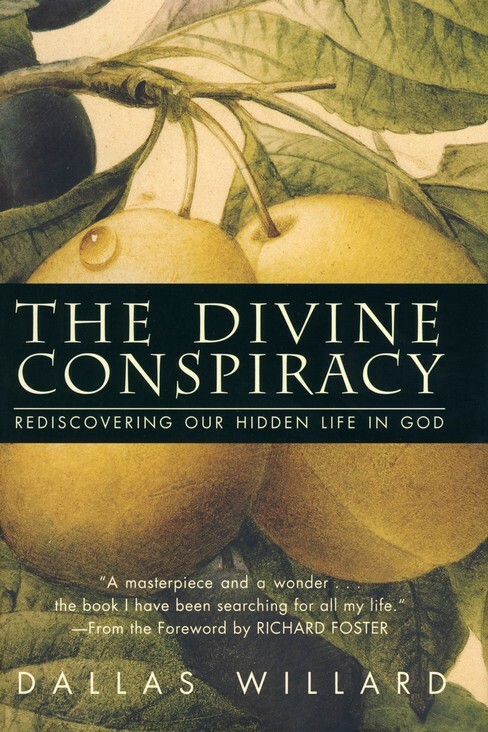 † Dallas Willard, The Divine Conspiracy (New York: HarperOne, 1997), 220-1. The mountain on which Jesus gave this great sermon. I am inspired by the courage of Antoinette Tuff, a bookkeeper at McNair Learning Academy in Decatur. As probably heard, last Tuesday, a mentally disturbed young man wielding an AK-47 style assault rifle burst into her office, held her at gunpoint, while she calmly talked to him. She empathized with him, telling him about her own struggles raising a disabled child and losing a husband. She reassured him, saying that since he hadn’t hurt anyone, he could still surrender peacefully. In a 911 call, she was overheard telling him, “We’re not gonna hate you, baby. It’s a good thing that you’re giving up.” She also told him that she loved him and that she was praying for him. He finally surrendered. No one was hurt. 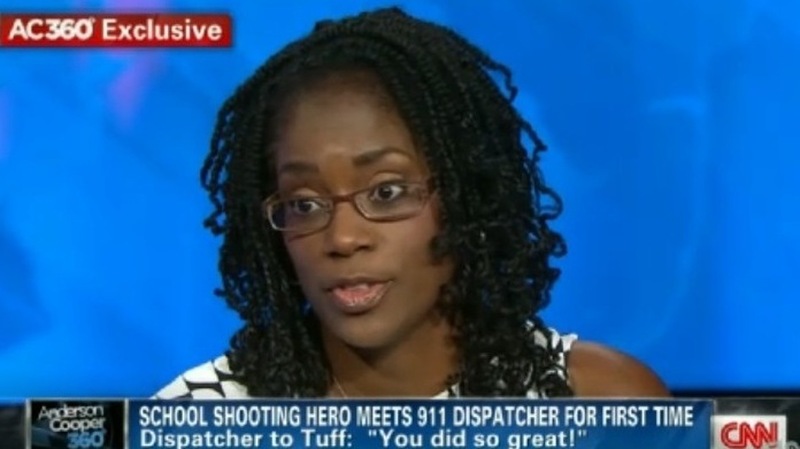 Antionette Tuff, a hero who saved the lives of many children last week. 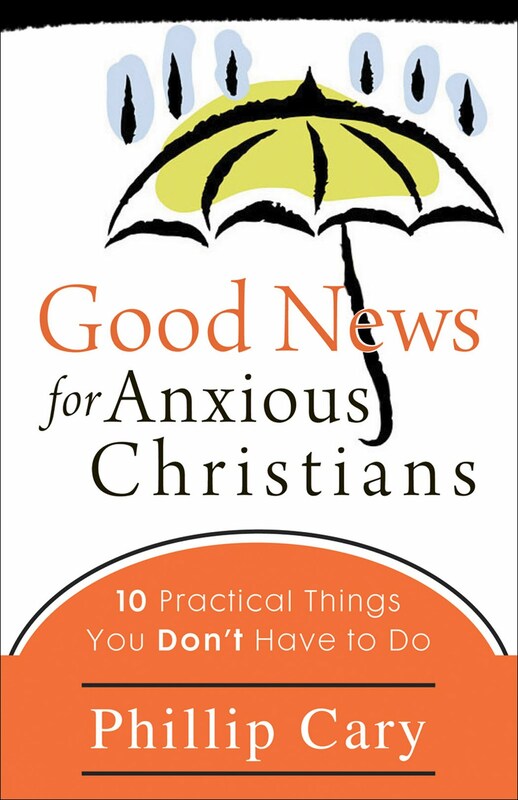 As I’ve written about in two previous blog posts, here and here, Phillip Cary’s book Good News for Anxious Christians challenged me to rethink my understanding of how God speaks to us. Or should I say “speaks” to us in quotation marks? Because I’ve never met a Christian who claims that God spoke in an audible voice, only as a strong intuition in their heart. And that’s exactly the kind of anxiety to which Cary is addressing his book: How do we know? How do we discern God’s voice from our own? According to people who believe that God has spoken to them, there aren’t many criteria for deciding: One criterion would obviously be, “Does this ‘voice’ contradict what God has revealed in scripture? '” That doesn’t seem especially helpful to me, since many choices we make in life won’t contradict scripture, yet we wouldn’t say, therefore, that “God told me” to do this thing. Another criterion seems to be that God’s “voice” is a really, really strong intuition. It’s a gut feeling. How else do we interpret, for example, what Baptist pastor Charles Stanley says about “hearing” God’s voice in this interview from earlier this year in Christianity Today? Did you catch that? “[A]fter a while, you realize as you obey him, it turns out right, and whatever your reason was for not obeying him, it doesn’t turn out right.” So God’s voice is something we discern over time, through trial and error. We make a decision based on an intuition that we think represents “God’s voice.” It turns out poorly. So we decide that wasn’t God’s voice. Then we make another decision based on an intuition. It turns out well. So we decide that must have been God’s voice. Am I misinterpreting what Stanley is saying here? I don’t think so. If Cary were reading this, he would say that what Stanley is really doing—which is what all of us Christians should do—is learning to make wise decisions. Over time, often through bitter experience, making wise decisions becomes easier (I hope!). Maybe it even becomes automatic, something we’re not even conscious of. The Bible exhorts us not to ask God to tell us what to do in every situation, but to ask God to give us wisdom. With wisdom, we can often make the right decision no matter what life throws our way. So perhaps Stanley isn’t obeying the voice of God so much as the voice of wisdom? Who knows? Regardless, I’m guessing that most of the time the difference isn’t that important. But I believe the way we speak about our decision-making is. Look at the Stanley quote again: for him, making a bad decision means disobeying God. That’s a lot of pressure, and a lot of opportunity to feel guilty! Why can’t we just say we made a bad decision, but in good faith, and that making a bad decision isn’t necessarily a character flaw or a sin? That it isn’t necessarily the result of not praying hard enough? Someone asked me if I (or Cary) wasn’t limiting God’s role in our lives by suggesting that God doesn’t speak to us nearly as often as the “evangelical mystics” among us think. On the contrary: if I’m right, then God will work to bring good out of any decision we make and any circumstance we face. It’s just that some decisions are better than others. I grew up in a popcorn-eating family. Seriously, we had popcorn several nights a week—nearly every time we sat down to watch TV in the evening. For most of my childhood, we had an electric popcorn popper, which popped the corn in oil. 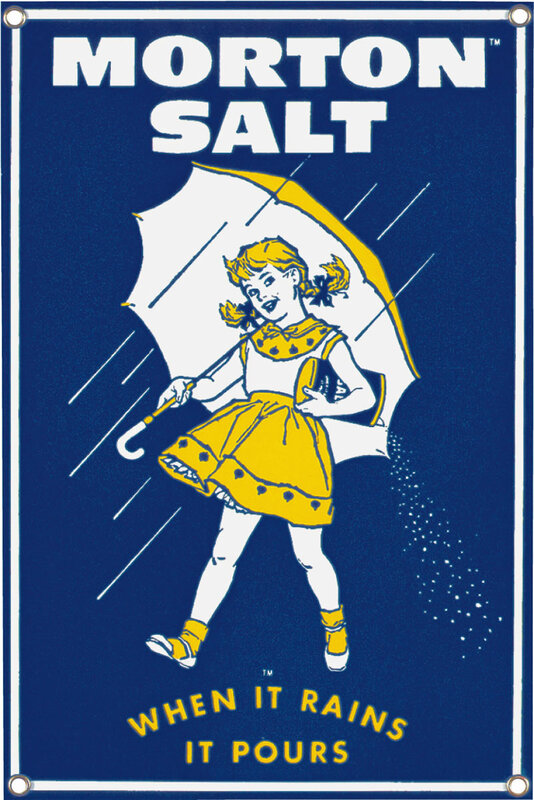 When the popcorn was finished, you inverted the lid, added salt, and—voila!—delicious popcorn. Then some time around 1981 or so, we made the switch to a hot-air popper. Remember these? It was like a blow dryer for popcorn. It didn’t require oil to heat up the kernels. It used hot air. Supposedly, we made the switch for “health reasons”—because this was the early ‘80s, after all, and we didn’t want to undo all the calories we’d burned from our Jane Fonda Workout, so we all ate hot air-popped popcorn, which, without all the oil, is fat-free. Does Jesus mostly teach simple lessons for children? I don’t follow American politics closely (anymore), much less British politics. 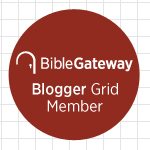 But I’m a fan of a blogger who does—a priest in the Church of England who blogs under the name and persona of Thomas Cranmer (the Archbishop of Canterbury who led the Protestant Reformation in England and edited the first Book of Common Prayer). Recently, the British Prime Minister, apparently the most nominal of nominal Anglicans, has been persuaded by his handlers to appease the base of his Conservative Party by talking about his “faith,” such as it is. (As you can see, American and British politicians are all the same.) I’ll let Cranmer describe a recent press conference. As he delivered those rousing words, Dave glanced at the sky, but neither saw nor heard anything. Focus Group clearly felt Dave was on the right track. And specifically, came the question. What parts of Christianity appeal to you most? Tricky question. How does one answer it to the satisfaction of those bloody grassroots, but without upsetting one’s friends in W11 and N5? Dave desperately scanned the room looking for Focus Group, but it wasn’t in attendance. He had to take a bold leap into uncertainty. The Scripture, he explained, is “not a bad handbook” for life. Do you see how Cameron’s explanation relates to my post the other day? What did Jesus teach? “Simple things” for children, like the Golden Rule and all those other innocuous bromides from the Sermon on the Mount. Happiness all around. Except among those whose own faith doesn’t depend on Focus Group. Four of the ‘simple’ things Dave mentioned are moral dicta appearing in the Old Testament, and the fourth is Jesus’s sermon on morality. These are all crucial to Christianity, no question about that. But suppose a rank atheist were asked the same question. Wouldn’t he happily give the same answer? In fact I’ve never met an atheist who’d admit to being comfortable with the idea of hating one’s neighbour, robbing and killing him, having a go at his wife and then lying about the whole thing under oath. Look at it from a different angle. A tricycle and an aeroplane both have three wheels, are made of metal and are used to transport people. Yet someone giving this explanation to a visiting Martian wouldn’t be partly right or almost right. He’d be mad. An explanation of anything has to focus on its unique characteristics, in this instance on the fact that aeroplanes fly. A definition must be based not on similarities but on differences. Thus a real Christian would have answered the same question differently. He’d know that the Scripture ought not to be confused with Debrett’s Etiquette for Girls. And Christianity isn’t just a moral teaching by Christ – mostly it’s the teaching about Christ. Central to it is His Incarnation, Crucifixion and Resurrection. Christ is the second hypostasis of the Holy Trinity, and a Christian is someone who believes in His divinity. Christian morality must define life in this earth, but it’s strictly derivative from the essence of the faith. “Christian morality must define life in this earth, but it’s strictly derivative from the essence of the faith.” Very well said. It’s a point that Dallas Willard also emphasizes in The Divine Conspiracy. Jesus’ moral teaching is profound, but also profoundly difficult apart from the essence of faith, which includes Christ’s identity, his atoning death and resurrection, and the sanctifying power of the Holy Spirit. I’m sure I’ll explore this more in my sermon series. Of course Jesus was good, but was he smart? Why do so many of us Christians fail to obey Jesus’ challenging words in the Sermon on the Mount? According to Dallas Willard in The Divine Conspiracy, one reason is that while we trust in him for salvation—as if he were merely the mechanism by which God saves us—we don’t trust the words he says. Instead of being (to say the very least) the moral and ethical genius that he clearly was (and is), we worry that he didn’t really know what he’s talking about. Here is a profoundly significant fact: In our culture, among Christians and non-Christiains alike, Jesus Christ is automatically disassociated from brilliance or intellectual capacity. Not one in a thousand will spontaneously think of him in conjunction with words such as well-informed, brilliant, or smart. Far too often he is regarded as hardly conscious. He is looked on as a mere icon, a wraithlike semblance of a man, fit for the role of sacrificial lamb or alienated social critic, perhaps, but little more. 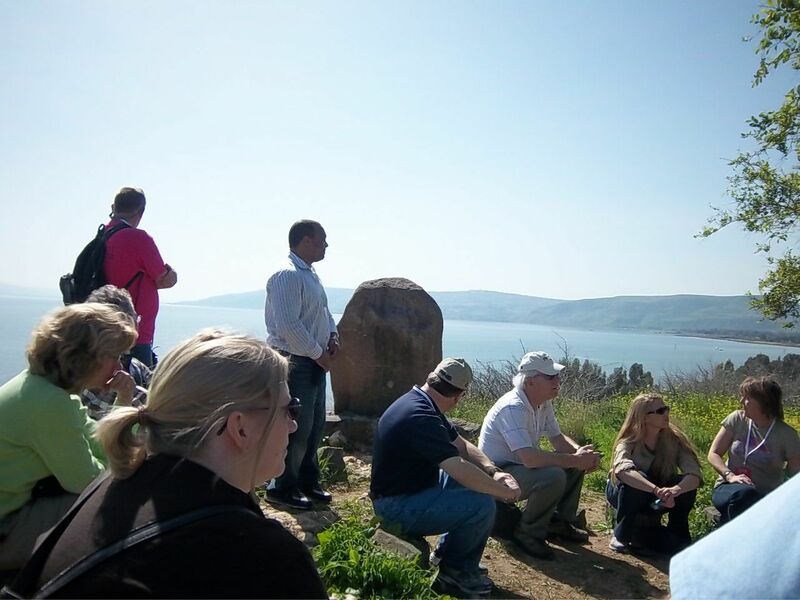 A well-known “scholarly” picture has him wandering the hills of Palestine, deeply confused about who he was and even about crucial points in his basic topic, the kingdom of the heavens. From time to time he perhaps utters disconnected though profound and vaguely radical irrelevancies, now obscurely preserved in our Gospels. What if Jesus is, in fact, the smartest man who ever lived? In addition (obviously) to his being God’s only begotten Son—God from God, light from light, true God from true God? Does that change our willingness to trust him when he tells us how we should live our lives? Wasn’t Jesus at least a great “political philosopher or thinker”? Among many other things, he led the most successful (only successful?) revolution in history! Yet many Americans thought the answer was preposterous back in 1999. † Dallas Willard, The Divine Conspiracy (New York: HarperOne, 1997), 134. I saw this video a couple of months ago on YouTube, in which a Baptist pastor from Oklahoma opens up an industrial-sized can of… well, judge for yourself. Christianity Today has now picked up the story. When I watch this video, I mostly feel sympathy for Standridge. I know I’m not supposed to. I’m supposed to think he’s a jerk or a bully or far worse (I’m afraid to read the comments section of the YouTube post). But I don’t. I imagine he’s just having a bad day. Been there, done that. Who hasn’t? For one thing, are we criticizing Standridge for having these thoughts in the first place or only for being so gauche as to speak them out loud in a sermon? If it’s the latter, well, that’s hardly a major sin. C’mon, fellow pastors: Haven’t you had church members who you believe—perhaps in your most human moments—”aren’t worth fifteen cents”? Granted, you don’t post their names on Facebook or anything, but don’t you feel that way sometimes? Let’s get real. Also, to his credit, Standridge at least knows his flock well enough to call these people by name. He clearly seems to care deeply about them, even as he criticizes them. And in our politically correct age, when we talk so much about cultural sensitivity and context, let’s give him the benefit of the doubt that he knows his audience, and he’s speaking to them in a language they understand. I’m not a Baptist from Skiatook, Oklahoma. Are you? I doubt he worried about how his message would play in New York or L.A.
CT asked some prominent pastors and theologians if it’s appropriate for pastors to call out church members by name like this during the sermon time. Everyone said Standridge was wrong—except good ol’ United Methodist bishop Will Willimon. 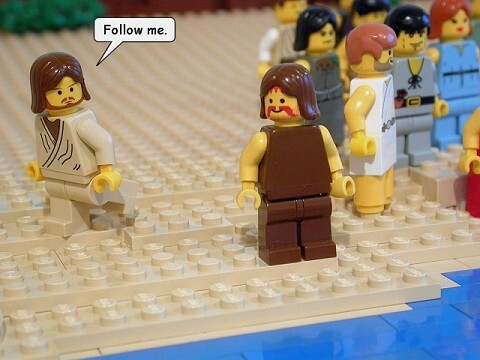 Prophets such as Amos or Nathan called people to account personally. It’s almost refreshing, in this age of feel-good theology, to see a preacher really get worked up over behavior and get morally indignant in the service of the truth delivered to him to speak. In the last chapter of C.S. Lewis’s Miracles, Lewis faces head-on the challenge of imagining “heaven”—as in our ultimate future life on the other side of resurrection—as physical and bodily. We have many things working against us: naturalism, mysticism, Deism, Platonism—not to mention that the most exalted of our own modest spiritual experiences seems to render our own bodies beside the point. These small and perishable bodies we now have were given to us as ponies are given to schoolboys. We must learn to manage: not that we may be free of horses altogether but that some day we may ride bare-back, confident and rejoicing, those greater mounts, those winged, shining and world-shaking horses which perhaps even now expect us with impatience, pawing and snorting in the King’s stables. Not that the gallop would be of any value unless it were a gallop with the King; but how else—since He has retained His own charger—should we accompany Him? Twenty-five years ago, as a scientifically-minded young Christian student trying to make my way through Georgia Tech with my faith intact, I fell in love with the music of Keith Green. His Ministry Years Vol. 1 (It’s still in print! Buy it!) was in constant rotation on my portable CD player. Even then, however, I found his song “I Can’t Wait to Get to Heaven,” with its depiction of heaven so down-to-earth—so corporeal, so physical—hopelessly childish and naive. While it’s hardly my favorite Green song, I now view my rejection of Green’s imagery as childish and naive. Here’s a pristine-video-quality performance of the song, which according to YouTube, comes from The 700 Club. I’m guessing from around 1980. 1. C.S. Lewis, Miracles (New York: HarperOne, 1996), 259-60. 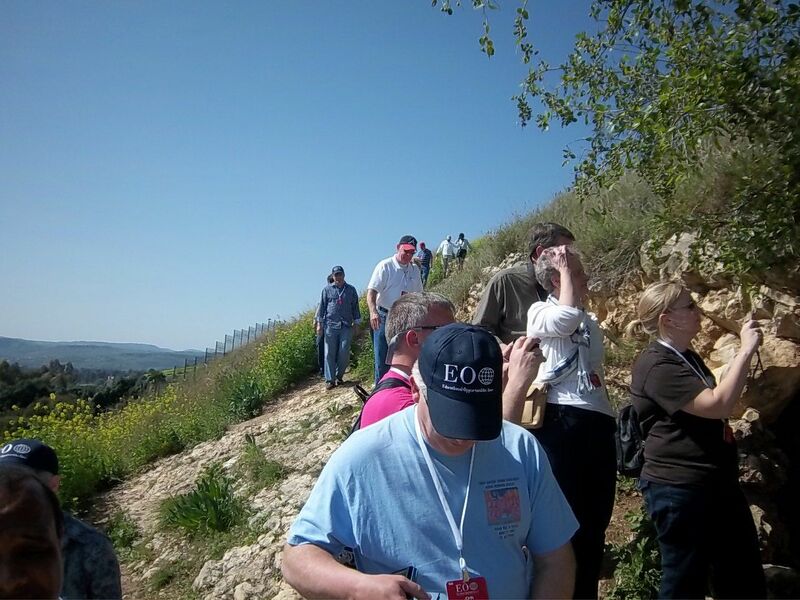 The mountain on which Jesus delivered his most famous sermon. Obviously, these few episodes from Jesus’ life don’t tell most of the story. In fact, since the only true happiness that exists in the universe comes from God, we should as easily imagine that Jesus was the happiest person who ever lived! Regardless, Jesus describes in today’s scripture the lives of people who are truly happy—although the Greek word usually gets translated as “blessed.” Biblically speaking, to be blessed is to possess a happiness that goes much deeper than the happiness for which we usually strive. Do you want to be happy? The Sermon on the Mount tells us how.